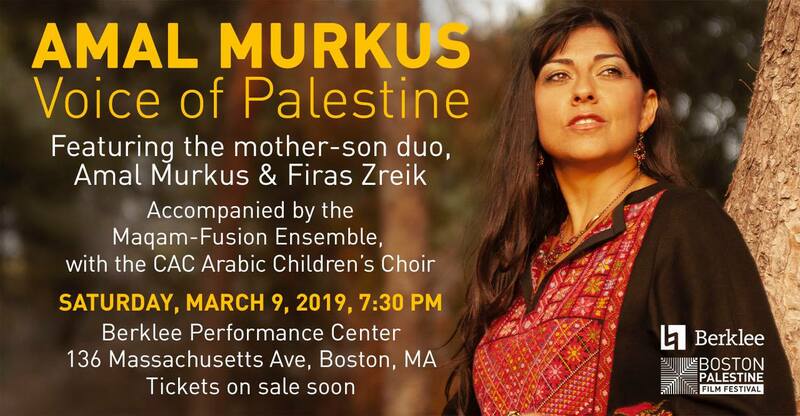 An Evening of Palestinian Music from the Homeland, Past, Present, and Future. Featuring the mother-son duo, Amal Murkus and Firas Zreik. and the Center for Arabic Culture Children’s Choir (under the direction of Alma Richeh). Posted in CAC Event, Concert.